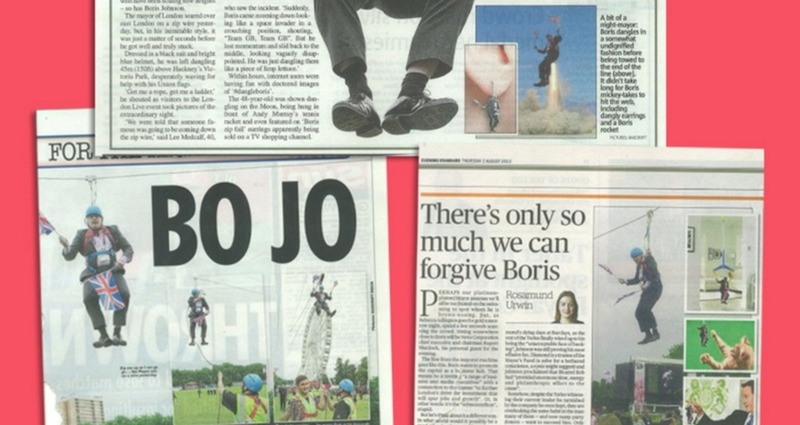 In 2012 Boris got stuck on a zip wire in Victoria Park. 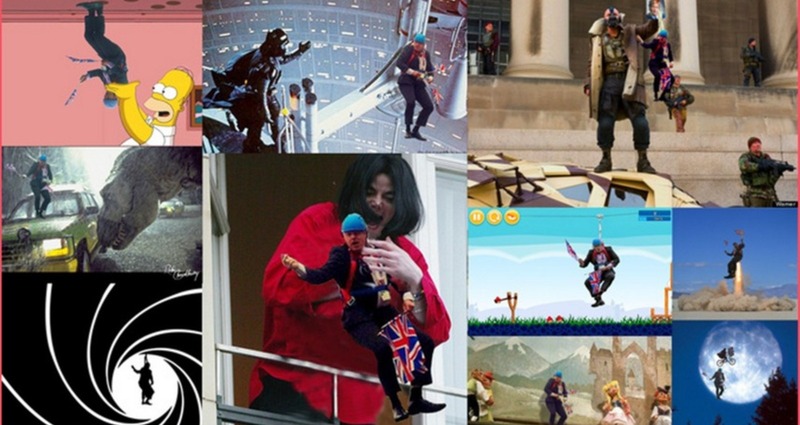 If things couldn't get embarrassing enough for poor Boris we thought what an easy comp it would be to dangle him from other objects and make an endearing blog about him. The first was a rather tame Giraffe, following that the images got funnier and more outrageous. 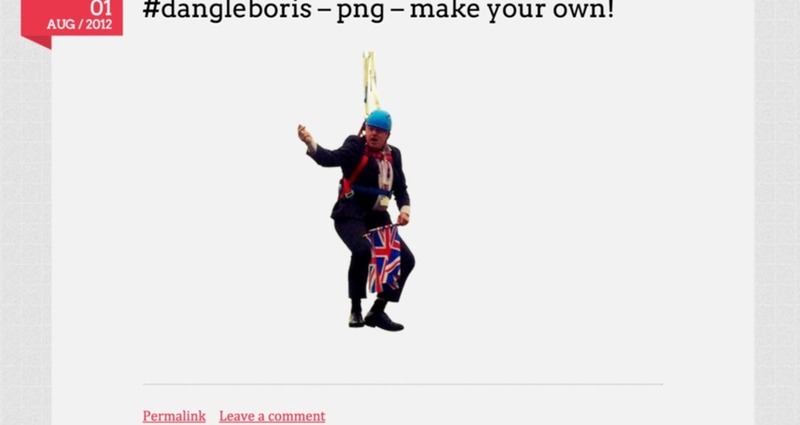 We adopted the trending hashtag #dangleboris set up a blog and tweeted every image we posted. We even made a template so others could make their own. A couple of hours later we were on MSNBC news, the next day the headlining all the papers in the UK and by the following afternoon we were having a chinwag with Vanessa Felps! We literally posted and wittily captioned every submission people sent us to our Tumblr.